Read reviews of 3 top recommended series of piano music books with graded repertoire that I use in my studio. This is my long time favorites of really great quality anthologies with different styles of music we use all the time. The piano method book you use may contain some “goodies”, piano pieces that you might want to keep on your repertoire. 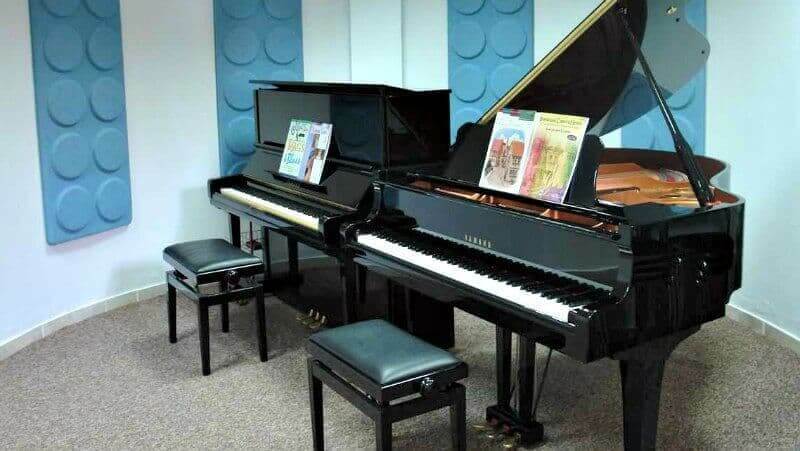 But since the main purpose of the pieces in a method or lesson book are to teach you fundamental skills, technique and how to read notes etc., they might be a tad bit boring. This is where repertoire from collections or anthologies of beginner piano sheet music come in handy. These books are perfect to complement with any piano method, and especially great for adult beginners who are ready for some "real" music (without simplifications) by known composers. My students, and I, love the In Recital series by the FJH Music Company. The books also come with a CD with piano accompaniment which will help your performance sound much better, especially in the beginning. The regular In Recital series is great for older students starting from an early intermediate level about book three and up. This series contains fantastic original and arranged beginner piano sheet music that is to be proudly performed! A lot of pieces that may look and sound hard, but are really easy to learn! If you would like to learn classical pieces in a progressive order I also warmly recommend: Succeeding with the Masters, the Festival Collection by Helen Marlais. All epoch's are represented on each level for a wide variety of “Classical” repertoire in their original form (no arrangements). The pieces in this collection sounds great, are well edited and with a beautiful and clear layout. Each book represents the level you are on, starting with book 1, which should be accessible after about a year of piano playing (well, it depends on you…!) . You can "jump around" in the book and pick whatever you like since the pieces are all more or less on the same level, but organized in epochs; Baroque, Classical, Romantic and 20th/21st Centuries. Each epoch begins with easier pieces and ends with a bit harder. You can listen to the CD to get an idea of how to play the piece. And last but not least I also recommend the Celebration series repertoire pieces. The pieces are great and very well organized in level of difficulty. As with the Festival Collection they are organized in epochs, and are the required repertoire for the Royal College of Music exams. Even if you choose not to take the exams, this is a treasure of piano music books with a quality repertoire. A bit pricey compared with many other anthologies, but well worth it.